Asiad Steels is one of the leading suppliers and manufacturers of Inconel 718 Fasteners, which are derived from a precipitation hardened nickel/chromium alloy that also has smaller amounts of other ingredients such as aluminum and titanium. Inconel 718 Fasteners are precipitation hardening fasteners manufactured from alloy containing nickel as base element containing chromium and Molybdenum with additions of aluminum, titanium and cobalt. Inconel UNS N07718 Fasteners is often used in gas turbines, rocket motors, spacecraft, nuclear reactors, pumps, and tooling. Inconel 718 fasteners are made from nickel-based alloys known for their oxidation- and corrosion-resistant properties that allow them to perform well in high heat and high pressure environments. Similar ingredients and properties allow Inconel Alloy 718 Fasteners and other grades of Inconel Fasteners to be a great fit for applications within the power generation, aerospace and nuclear industry. 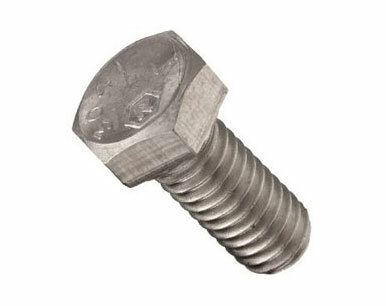 These Inconel Din 2.4668 Fasteners are also used in heat exchanger tubing, steam generators and core components in nuclear pressurized water reactors, natural gas processing with contaminants such as H2S and CO2, etc. Inconel 718 is a precipitation-hard enable nickel-chromium alloy containing also significant amounts of iron, niobium, and molybdenum along with lesser amounts of aluminum and titanium. 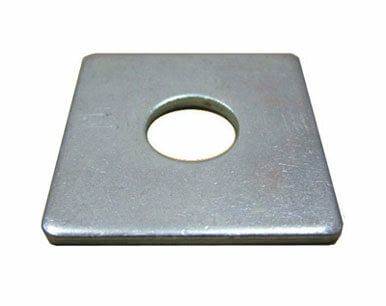 Alloy 718 fasteners have been used in environments from -400 Degree F (-250 Degree C) to 1300 Degree F (700 Degree C). Typical applications include gas turbine parts and cryogenic storage tanks. Alloy 718 is used in these environments because of its high strength and ability to perform excellently at high temperatures. Buy Alloy 718 Fastenersat reasonable rates from us. We are Exporter of Inconel 718 Fasteners in Worldwide Such as India, Peru, Belgium, Portugal, Israel, Russia, Chile, United Kingdom, Australia, Puerto Rico, Thailand, Oman, Hong Kong, Yemen, Greece, Philippines, Nepal, Sri Lanka, Colombia, Switzerland, Croatia, Gabon, Serbia, Ukraine, Czech Republic, Afghanistan, South Korea, Macau, Mexico, Nigeria, Morocco, Kuwait, Bulgaria, Lithuania, Sweden, Poland, Pakistan, Tibet, Nigeria, Bhutan, Iraq, Gambia, Belarus, Ecuador, Italy, United Arab Emirates, Spain, Malaysia, Egypt, Brazil, Venezuela, Iran, Romania, Hungary, Indonesia, China, Norway, Lebanon, Jordan, Ireland, Turkey, Netherlands, Angola, Kazakhstan, Iran, Qatar, Kenya, Estonia, South Africa, Argentina, Bolivia, Chile, Saudi Arabia, Germany, Vietnam, Denmark, Austria, Zimbabwe, Namibia, Taiwan, Costa Rica, Singapore, New Zealand, Finland, Poland, Bangladesh, Libya, United States, Slovakia, India, France, Bahrain, Japan, Mexico, Azerbaijan, Mongolia, Canada, Algeria, Trinidad & Tobago,Tunisia, Ghana. 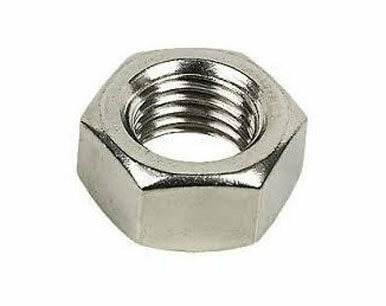 We are Suppliers of Inconel Alloy 718 Fasteners in India Such as Mumbai, Hanoi, Calgary, Nashik, Courbevoie, Al Jubail, Hyderabad, Indore, Ahmedabad, Brisbane, Algiers, Vadodara, La Victoria, Colombo, London, Santiago, Jakarta, Edmonton, Jaipur, Mumbai, Rajkot, Istanbul, Thiruvananthapuram, Busan, Muscat, Tehran, Faridabad, Lagos, Visakhapatnam, Bengaluru, Montreal, Ahvaz, Pimpri-Chinchwad, Pune, Karachi, Thane, Chiyoda, Granada, Perth, Al Khobar, Cairo, Hong Kong, Kuwait City, Houston, Bhopal, Nagpur, Ranchi, Milan, Secunderabad, Geoje-si, Bangkok, Madrid, Riyadh, Navi Mumbai, Surat, Kanpur, Jeddah, Coimbatore, Atyrau, Ludhiana, Noida, Ernakulam, Rio de Janeiro, Baroda, Howrah, Aberdeen, Doha, Dammam, Haryana, Seoul, Sharjah, Ulsan, Vung Tau, Dubai, Petaling Jaya, Kolkata, Sydney, Chennai, Singapore, Abu Dhabi, Los Angeles, Port-of-Spain, Bogota, Ho Chi Minh City, Jamshedpur, Mexico City, New Delhi, Gurgaon, Kuala Lumpur, Toronto, Manama, New York, Moscow, Gimhae-si, Caracas, Lahore, Ankara, Melbourne, Chandigarh, Dallas.